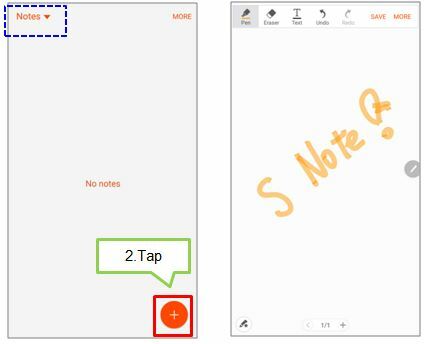 Galaxy Note5: How to create a new Note using the S-Note? 1. 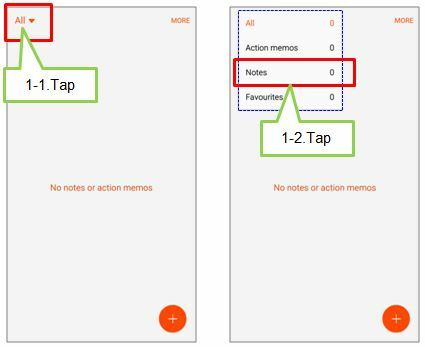 Create custom notes by recording your thoughts and ideas. You can insert multimedia files and create Photo notes. On the Apps screen, tap S Note and tap All button on top left of screen and then tap Note. Alternatively, on the Home screen, tap S Note icon in the S Note widget. panel and tap the S Note shortcut. 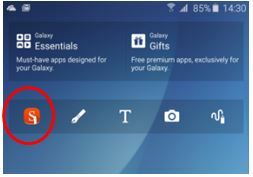 Then start to select the category and set up the application to Notes. or tap Text to enter text using the keyboard.